I don’t know if you’re like me, but twice year—spring and fall—I declutter. I go through my closets, garage, and basement and clean up, donate, give away, recycle, and throw away everything that no longer belongs. For example, I donate clothes that no longer fit, I haven’t worn in a year or more, or I just don’t like any more. It’s liberating. Riverbed SteelCentral has had a fall cleaning of sorts, only it’s much, much bigger and better than my annual fall cleaning. We’ve consolidated and integrated several products. Actually, we’ve rebuilt several of them from the ground up, and that is going to allow you to simplify your performance management significantly. Why is that so important, you might ask? Good question. IT often spends considerable time trying to find the root cause of performance problems. Cross-team finger pointing is prevalent, which results in valuable lost productivity for the IT team itself and the company. These organizations take a fragmented approach to performance management. Separate domain teams leverage specialized tools to investigate network traffic, real-time communications problems, infrastructure and application-related performance issues. Each team sees only part of the transaction, and effective communication and collaboration between domain teams is challenging because they are using separate, and unsynchronized metrics. Clearly, this fragmented, reactive approach no longer meets the need of today’s agile, performance-driven company. We feel by bringing several, related solutions together and making them easier to use right out of the box for various constituencies, it’s a win-win situation. IT organizations are increasingly asked to manage all aspects of network and application performance. SteelCentral AppResponse 11 integrates the capabilities of our two packet capture solutions: AppResponse 9 and NetShark. SteelCentral AppResponse 11 was redesigned from the ground up. 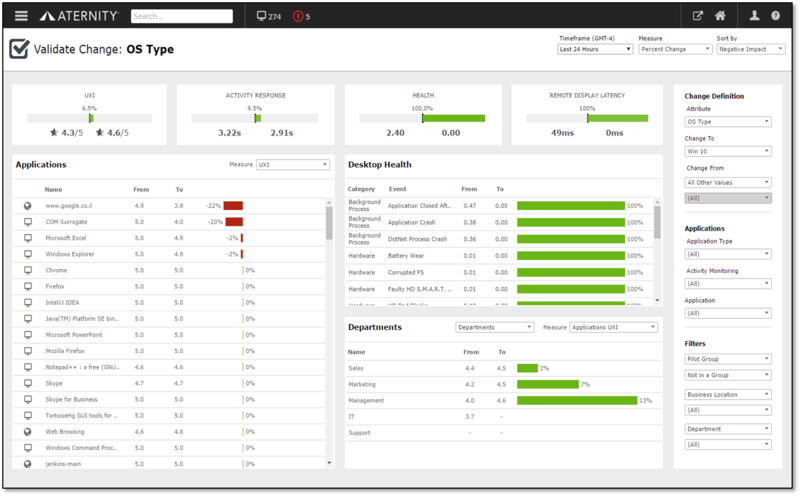 It’s functional immediately out of the box for a diverse set of users—network ops, security, app ops, and ‘tiger’ teams—and because there are both pre-defined insights and expert analysis, it’s usable by novice to experts alike. AppResponse 11 also significantly increases the richness of performance metrics available to users, by providing access to finer grained transaction data without having to go the packets as often, thus speeding analysis and decreasing mean time to resolution (MTTR). 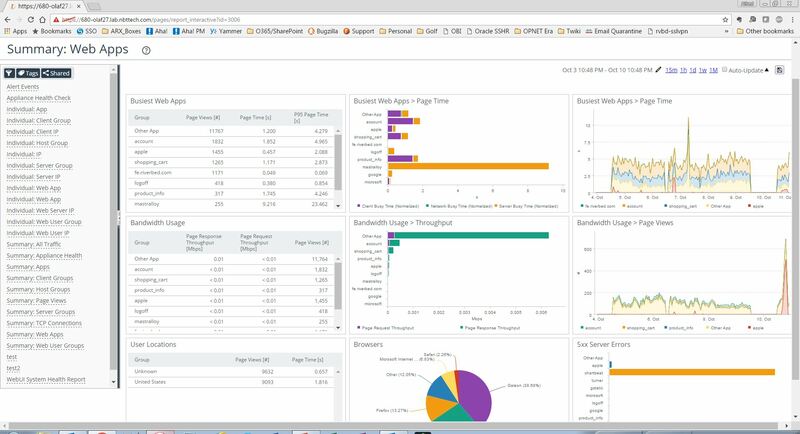 SteelCentral AppResponse 11 combines the network forensics capabilities of SteelCentral NetShark—deep packet inspection of 1,300 apps, multi-capture jobs with filtering, 1 second granularity with microsecond resolution, and more—with the capabilities you’ve known and loved from SteelCentral AppResponse. We’ve started with the Application Stream Analysis (ASA) and Web Transaction Analysis (WTA) modules, but we will be adding the rest in the near future. ASA provides Layer 4 TCP and UDP historical network analysis capabilities—response time composition charts, historical roll up metrics, aggregated traffic statics and host groups. WTA provides real-time web application performance for monitoring business transactions. Figure 1. 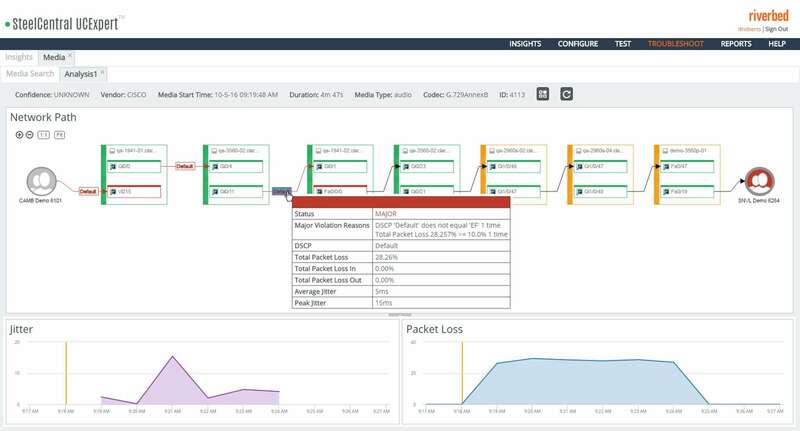 SteelCentral AppResponse 11 integrates network and application analytics and end-user experience monitoring in a single physical or virtual appliance. The Web Apps Summary is one of the more frequently used views for monitoring and troubleshooting the performance of internal and customer-facing web applications. For more info on SteelCentral AppResponse, click here. The health of the infrastructure components that support critical applications is an essential part of application delivery. If the infrastructure fails, the applications does too. To complicate matters, infrastructure itself is not static. It changes frequently, both in terms of configuration and topology. IT organizations need to proactively monitor and manage infrastructure in order to understand infrastructure configuration, how applications pass through, and how it is performing. SteelCentral NetIM, a new, holistic solution for infrastructure mapping, monitoring and troubleshooting, replaces SteelCentral NetCollector and NetSensor to create a single, integrated solution that enables companies to capture infrastructure information, detect performance issues, map application network paths, diagram your network, and troubleshoot infrastructure problems. As an integrated component of Riverbed SteelCentral, NetIM customers will manage infrastructure issues within the context of application, network and end-user experience for a truly blended view of total performance. For more info on SteelCentral NetIM, click here. The problem with unified communications (UC) deployments is that identifying the root cause of performance issues can be incredibly complex. UC is a peer-to-peer application and is highly latency sensitive. The problems can be with the UC solution itself, the network, the infrastructure, the device, etc. SteelCentral UCExpert has reduced this complexity by simplifying the troubleshooting of network and infrastructure-based UC issues. SteelCentral UCExpert Intelligent Path Analysis enables IT staff to view the path of a specific call and see relevant performance and QoS metrics for the devices and network segments between the caller and receiver. Unlike competitive products that force administrators to manually correlate call and network information, this new analysis enables administrators to quickly identify network-based UC problems and dramatically reduce UC troubleshooting time. Figure 2. SteelCentral UCExpert’s Intelligent Path Analysis streamlines troubleshooting of network and infrastructure-based unified communications issues from within the UCExpert workflow. For more info on SteelCentral UCExpert, click here. The enterprise end-user computing environment is undergoing rapid change. BYOD initiatives and millennial workers have driven a need for modern experience across a broad range of devices; however, this wider spectrum of solutions creates blind spots as companies are challenged to understand end-user experience. As platforms and operating systems are advanced to meet these needs, it introduces the risk that migration initiatives may not perform as expected. With this release, SteelCentral Aternity adds supports for Mac devices so that IT can ensure an excellent end-user experience for all devices (Mac and Windows) using consistent, unified workflows and dashboards. It also introduces unique side-by-side views that allow Level 3 support teams to compare end-user experience and device health before and after a change, such as a Windows 10 migration, validate the impact of strategic change initiatives. As a result, these teams are able to mitigate the risks due to large-scale change and reduce the chance of costly application and device roll-backs. Figure 3. SteelCentral Aternity can compare end-user experience and device health before, during, and after a change. For more info on SteelCentral Aternity, click here. So, with this new SteelCentral release, Riverbed continues to expand, integrate and simplify application performance management, providing the broadest and most comprehensive solution, which allows enterprises to reduce or eliminate fragmentation and dramatically simplify the process of monitoring and managing application performance. All you have to do is your fall cleaning, like me. Declutter your data center and bring in the new integrated Riverbed SteelCentral to replace your old fragmented performance monitoring solutions.